CHEVY CHASE, Md. 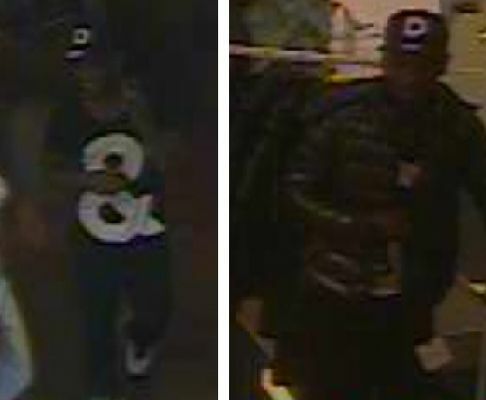 (WUSA9) -- Four teens were arrested and warrants have been issued for two suspects in connection with a robbery at a Bloomingdale's in Chevy Chase on July 3rd, according to the Montgomery County Police Department. Police say the teens will be charged as adults. At approximately 4:57 p.m. on July 3rd, police say officers responded to a Bloomingdale's located on Western Avenue for the report of a robbery. Police say two males and four females entered the store, concealed merchandise, and attempted to leave without paying. The suspects pepper sprayed and assaulted the loss prevention officers when they tried to detain the suspects for the thefts, police said. Germaine Johnson, 17, was charged with armed robbery, conspiracy to commit armed robbery, first-degree assault, second-degree assault, and theft $1,000 to under $10,000, police said. Ahmaad Mattocks, 17, of Washington, D.C., was charged with armed robbery, conspiracy to commit armed robbery, first-degree assault, second-degree assault, and theft between $1,000 to under $10,000. Police say Mattocks is being held on an $85,000 bond. Chyna Crawford, 17, of Washington, D.C., was charged with armed robbery, conspiracy to commit armed robbery, and theft $1,000 to under $10,000, police said. Tarjenay Edwards, 16, of Washington, D.C., was charged with armed robbery, conspiracy to commit armed robbery, first-degree assault, second-degree assault, and theft $1,000 to under $10,000, police said. An arrest warrant has been issued for Tyler Muhammad,16, of Suitland, Md., and Special Roper, 18, charging them with armed robbery, conspiracy to commit armed robbery, first-degree assault, second-degree assault and theft $1,000 to under $10,000, police said. Anyone with information regarding the identity of the above subject is asked to call the Major Crimes Division-Robbery Section at 240-773-5070.